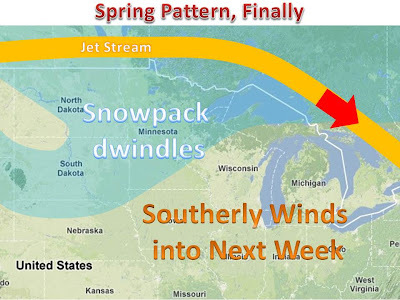 With the calender almost running to May, a spring pattern is finally in the works. The jet stream will push north and winds will shift to a southerly direction. This will pump up warm moist air into all of the Midwest starting Friday. This is not due to a large storm, so the warm will be sticking around, and the threat of any severe weather looks minimal. 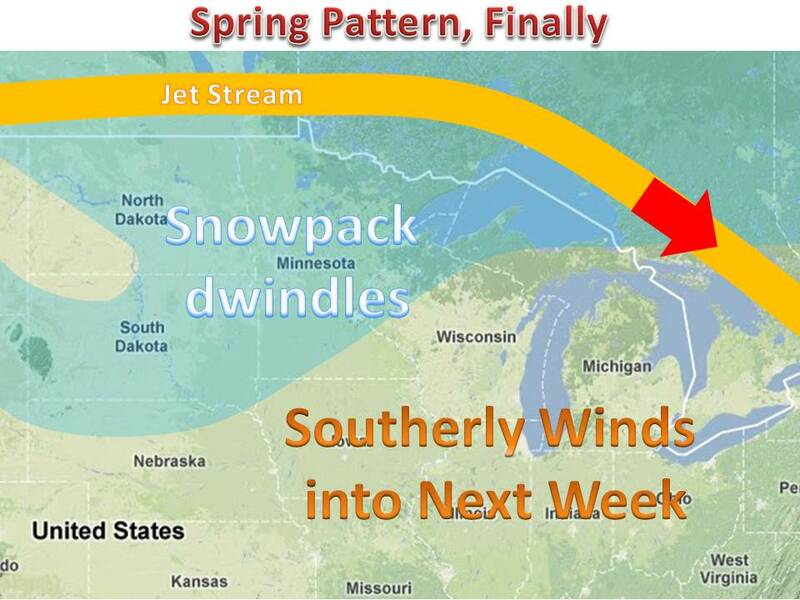 A large snow pack still persists in areas, but much of that will be gone by next week, with flooding being a concern. Coming off record snow months in the Great Plains, the warm weather is a welcomed sight.